Window film reduces heat gain; increases comfort: When sunlight enters through your windows, it can really wreak havoc; causing “hot spots” near windows, and making some areas almost unlivable. Closing drapes and blinds won’t help – the heat is already through the glass! A quality window film such as SolarGard®, or Panorama® will allow natural light to stream in without annoying glare and discomfort; reducing heat gain by up to 82%. Window film protects you and your home from UV damage: Ultraviolet light ruins drapes, carpet, furnishings and artwork, and causes irreparable harm to your skin and eyes! Window film stops better than 99% of UVA and UVB rays, protecting against premature aging of skin and eyes; all while saving your valuable furnishings and art! Window film saves energy: By reflecting as much as 82% of the sun’s heat, window film can reduce your cooling costs by 30% and more – all while maintaining a uniform “comfort condition” within your home. Window film makes glass safer: Add an extra level of security with Armorcoat® Safety and Security Film; in “Clear” or “Sun Control.” Armorcoat® helps hold lethal glass fragments in place if your your windows are impacted, protecting you, your family, and your pets from the piercing and cutting injuries that so often occur when glass is broken. Decorative Films: Add a “designer touch” to windows, entry doors, shower enclosures – anywhere! With textured, patterned or embossed decorative films, there is no limit to what you can do. Enhance the appearance of problematic window areas to give your interior environment a “one-of-a kind” look that is uniquely you! 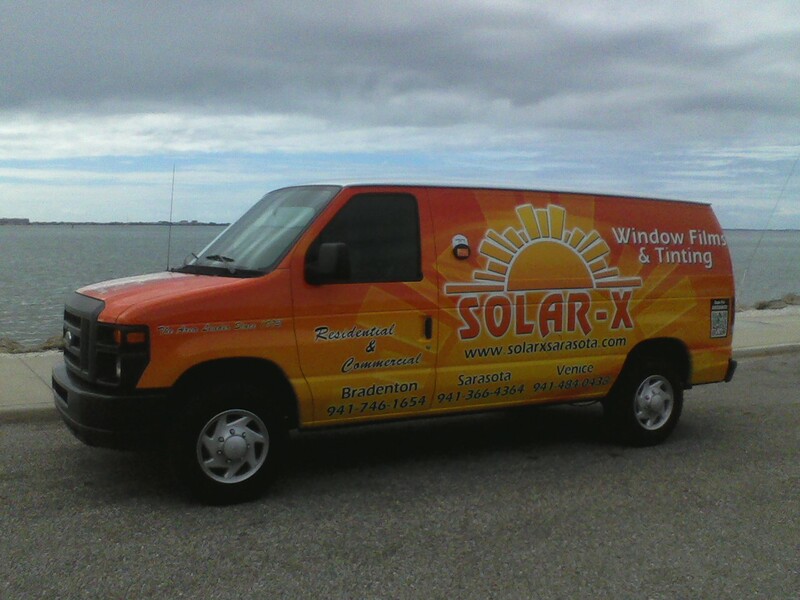 Solar-X of Sarasota sells and installs SolarGard®, Panorama®, and Armorcoat® window films. We also sell and install decorative films and applied products that enhance appearance and provide privacy; and we install them all with pride and unrivaled attention to detail. 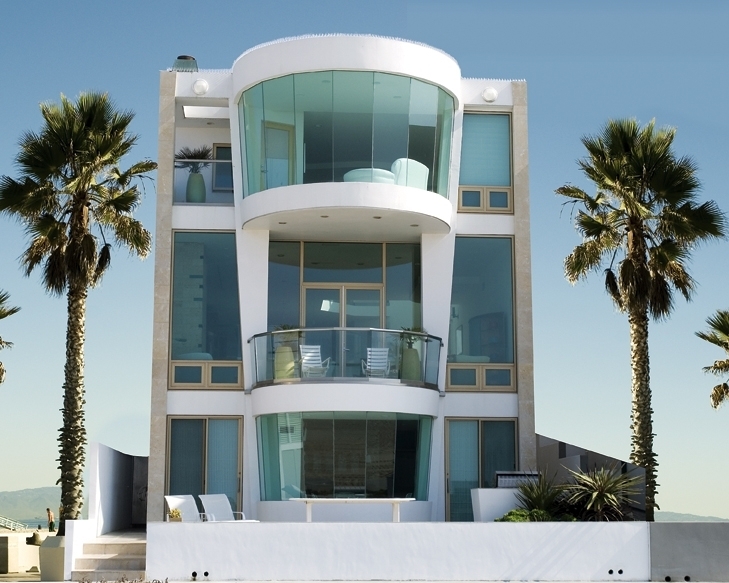 If you are considering an installation of window film on your home or office, contact Solar-X today; and see why we have been the area’s leading window film contractor since 1973! Rated “A+” by the Better Business Bureau. Serving Parrish, Palmetto, Bradenton, Lakewood Ranch, Sarasota, Venice, Englewood, and North Port. Solar-X of Sarasota is pleased to announce the arrival in stock of the new ULR window film series. The latest offering from SolarGard®, the ULR (“ultra-low reflectance”) films incorporate non-metallized nanoparticle technology that offers the lowest interior or exterior reflectivity of any SolarGard® film. These beautiful architectural window films provide both energy savings and improved comfort while allowing the maximum amount of healthful, natural light to stream in to your home, office, or storefront. As always, they are manufactured to the high quality standards that you can expect from SolarGard®; backed by a limited lifetime residential or 12-year commercial warranty, and recommended by the Skin Cancer Foundation. Ranging in appearance from virtually clear to a soft “smoke-colored” non-reflective tint, ULR films are perfect for homeowners who want to minimize any change in the appearance of their windows; perhaps they live in a deed restricted community that doesn’t allow reflective or dark tinted films, or maybe they want to capitalize on their views without the distraction of the “roomside” reflection that is often associated with typical reflective films. Perhaps they want to protect their families from the skin and eye damage that comes from exposure to UV light, while making their homes cooler and more restful by reducing unwanted glare. Retail businesses with large display windows that face into the sun often feel like a furnace; but seldom is there anything they can do to slow heat intrusion into the storefront without losing the ability to see the merchandise on display. However, the clear, non-reflective appearance of ULR films allows for full “see-though” ability while reducing heat and protecting merchandise from sun fading and damage. As always; you can expect Solar-X of Sarasota to install ULR films with the same care and attention to detail for which we have come to be known during our forty years of industry involvement. Contact Solar-X today to learn more about this sensational new family of films from SolarGard. Rated “A+” by the Better Business Bureau.